Dark, leafy greens like spinach and kale are packed with flavonoids, a phytonutrient that boost heart health and may help ward off cancer. According to the Alzheimer's Association, flavonoid-rich foods may also reduce inflammation in the brain, possibly slowing the progression of Alzheimer's disease. 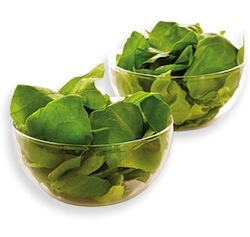 Eat a spinach salad a few days a week for a powerful punch of flavonoids. Other good sources are kale, soybeans, berries, tea, or even a glass of wine.